Trustees of retirement fund body EPFO may approve a proposal on Saturday to reduce the mandatory contributions toward social security schemes run by it to 10 per cent for workers as well as employers. Presently, employees and employers contribute 12 per cent of basic wages each towards Employees Provident Fund Scheme (EPF), Employee Pension Scheme (EPS) and Employee Deposit Linked Insurance Scheme (EDLI). The proposal to reduce the contributions by employers and employees to 10 per cent of basic wages, including basic pay and dearness allowance, is listed on the agenda for meeting of the Employees' Provident Fund Organisation (EPFO) scheduled on May 27, 2017 in Pune, a source said. The source said the labour ministry received several representations stating that the move will leave more money with workers for expenditure and reduce employers liability, which will eventually perk up economy. However, trade unions have decided to oppose the proposal saying this will dilute these social security schemes. An EPFO trustee and Bharatiya Mazdoor Sangh leader PJ Banasure said, "We will oppose this proposal. This is not in workers interest." 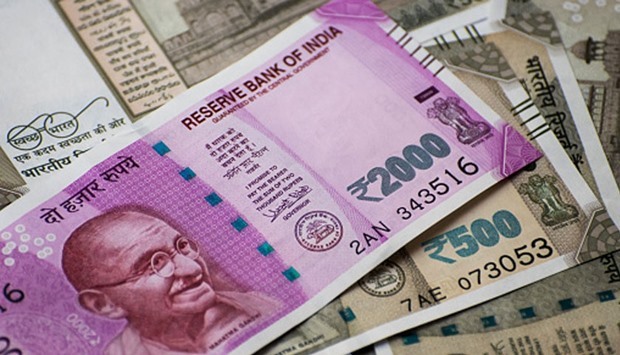 Another trustee and All India Trade Union Congress Secretary D L Sachdev said, "The reduction of contributions will reduce the benefits for workers by four percentage point. At present employer and employee contribute 24 per of basic wages. This will be reduced to 20 per cent." At present the employees' entire 12 per cent contribution is deposited into his EPF account. Besides, 3.67 per cent is also contributed to the EPF account by the employer who also contributes 8.33 per cent of basic wages to the EPS account. That apart, the employer also contributes 0.5 per cent of basic wages towards the EDLI for insurance benefit. Thus the employer eventually contributed 12.5 per of basic wages. EPFO will also take up the matter of stepping up its investment in the stock market to up to 15 per cent at its next meeting in Pune. Its advisory body Finance, Investment and Audit Committee (FAIC) will examine the proposal at the meeting to be chaired by Labour Minister Bandaru Dattatreya to raise the limit from the existing 10 per cent. The Central Board of Trustees (CBT) is the apex decision making body of the Employees' Provident Fund Organisation (EPFO) that will take a final call on raising investment in stock market instrument -- exchange traded fund (ETF)-- for the current fiscal based on the feedback from FAIC. If approved by the CBT, the EPFO can invest over Rs. 15,000 crore in ETFs in 2017-18 as its investible deposit is around Rs. 1 lakh crore every year.